In Arabic, the word “Sarahah” means “honesty.” In any language, the social media app Sarahah is among the most dangerous sites for online bullying ever devised. No wonder a petition to ban it has garnered more than 103,000 signatures in the past five days. I’m writing this because as a teenager myself, I’m exhausted. I’m exhausted from hearing, reading and having the knowledge that teenagers all over the world are being bullied, harassed and abused online. News coverage of the tragic suicide of 14-year-old Dolly Everett has not specified the platform on which the abuse occurred, but the notorious “constructive messaging” app Sarahah is a likely candidate. The whole point of the app is to allow anonymous commenters to say what they “honestly” think of a user - aka an open invitation to back-stabbing and no-holds-barred bullying. Within a week of its release in June last year, Sarahah had received more than two million visitors per day and become the most popular free downloaded app in multiple countries, topping all other major social media sites like Facebook, Instagram and Snapchat. The platform was designed by 26- year-old Saudi Arabian Zain Al-Abidin Tawfiq as a way to provide honest, anonymous feedback to employers by employees. The age requirement was originally set at 17, but as the app gained popularity amongst teenagers, that was increasingly ignored. With bullies, harassers, stalkers, abusers and racists flocking to this platform, Sarahah quickly degenerated into a minefield. 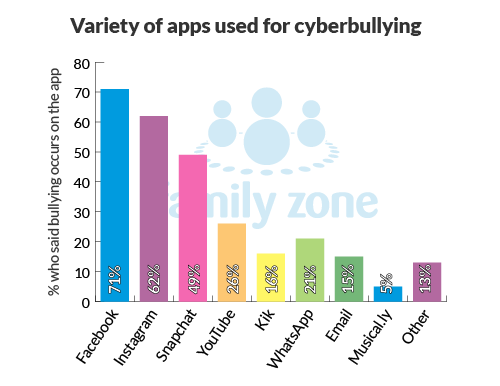 43% of all Australian kids under 17 have been the targets of online bullying. Little did I know that I was the most oblivious teenager. When I first heard about Sarahah, I didn’t think much about it. I wasn’t aware of how widespread it was and how it was, to quote users “breeding suicides” and “breeding hate.” After seeing this platform appear more frequently on friends’ and peers’ Instagram accounts, I got curious about what its purpose was. I decided to investigate. I quickly discovered that Sarahah users were posting screenshots of their anonymous messages on Instagram in order to reply to them. (Sarahah doesn’t permit responses. So when your “followers” are trolling you, you have no way of replying.) Self-defeating? Definitely. But here’s the logic: Faced with a series of negative messages, teen users post a story asking the commenter to send them a direct message to “sort it out.” Or, they might even post a video defending themselves. As you might imagine, rather than shutting down the abuse, these practices simply open the doors wider. The content of Sarahah messaging can be anything from the loveliest words that complete your day to a death threat to a long text telling you that you’re worthless, have no purpose and should commit suicide. 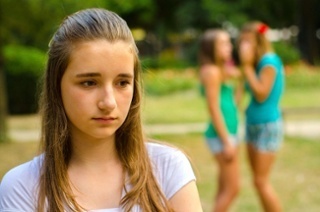 Online bullying can - and does - happen on any social media platform. Bullying on Sarahah frequently migrates to Instagram. A petition to ban Sarahah was started this week by a Queensland mum whose 13-year-old daughter was receiving comments like, “I hope she kills herself. Seriously, no one will care.” The petition has gained enormous traction in the wake of Northern Territory teen Dolly Everett’s horrific death. Although some media commentators are saying bans aren’t a practical or effective solution to the problem of online bullying, it seems to this teen a positive first step. Because the data is clear: A combination of a decline in self-esteem and mental health can lead to anxiety and depression, self-doubt, eating disorders, a decline in school performance, mood/attitude changes, and suicidal thoughts… in the worst case, suicide. We need a way to protect teens from this sort of abuse. As we’ve learned to our horror this week, it’s a matter of life or death.